The big reveal was Friday. 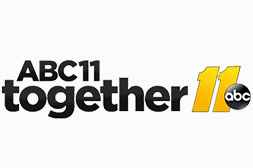 FAYETTEVILLE, NC (WTVD) -- It was an emotional day on Bombay Drive in Fayetteville, a place where many residents are still struggling to rebuild. But thanks to Operation Blessing, one single mother of five will finally have the fairy tale ending to the nightmare that Hurricane Matthew created. Kim Butsch works as a registered nurse. The night of the Hurricane, water rushed into her home, destroying everything on the first floor. Operation Blessing pulled nearly a hundred volunteers together to completely restore the Busch household. Kim was told she wouldn't be able to move back into her home until next year, but Friday she was surprised with a completed home along with one special item. "A plaque that said 'Give thanks unto the Lord.' That's the only thing I had left. They tied that in and I would not have gotten through any of this without Him," Butsch tearfully explained. Operation Blessed flipped the main level, not once but twice. The organization showed the family their new home with a Thanksgiving theme only to surprise them moments later with a Christmas themed flip. Operation Blessing has worked on every home on Bombay Street, providing 960 volunteers to help with clean-up efforts.